We study the approximability of 1-in-kSAT, the variant of Max kSAT where a clause is deemed satisfied when precisely one of its literals is satisfied. 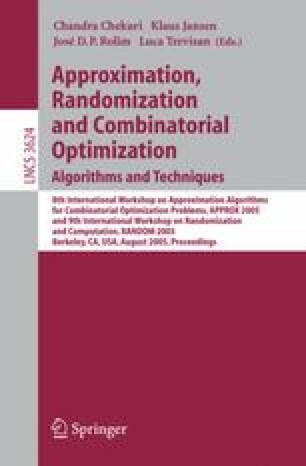 We also investigate different special cases of the problem, including those obtained by restricting the literals to be unnegated and/or all clauses to have size exactly k. Our results show that the 1-in-kSAT problem exhibits some rather peculiar phenomena in the realm of constraint satisfaction problems. Specifically, the problem becomes substantially easier to approximate with perfect completeness as well as when negations of literals are not allowed.